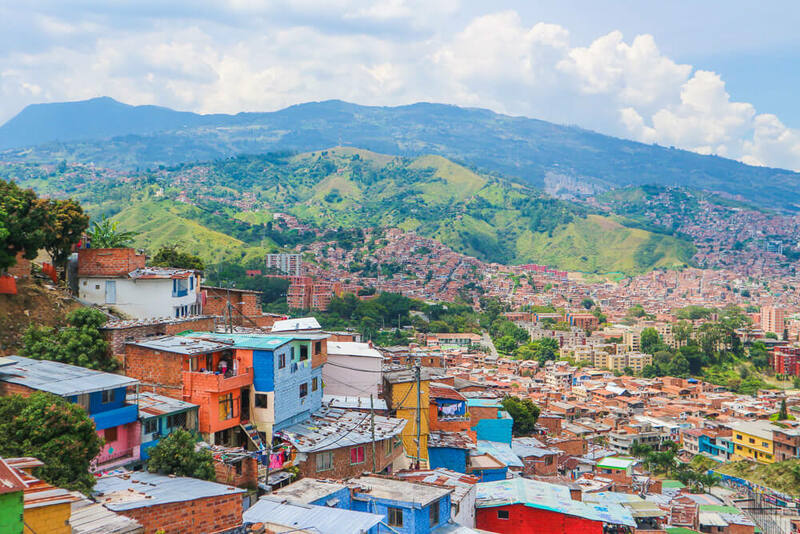 Infamous for being the most dangerous neighbourhood in Medellin, Comuna 13 has transformed in recent years. Previously it would have been an area to avoid on your trip, but you can now visit safely. That being said, we still wouldn’t recommend visiting alone or at night. Outdoor escalators have been installed to give residents easier access to their homes, due to the neighbourhood being on a steep incline. This renovation is partly responsible for Medellin being named the world’s most innovative city in 2013. While the residents may not be rich in monetary terms, they certainly have some of the best views in the city! To visit you have two options – do it yourself or take a tour. We’d strongly recommend you take advantage of the easy to use metro system to make your own way there. The tours work out as a lot more expensive, although will provide you with an overview of the area’s history. Just 2km outside of the city centre, a short climb up Nutibara hill will lead you to Pueblito Paisa. A replica of a traditional Antioquian village, it gives some insight into how Colombians lived in years gone by. You’ll find souvenir shops and traditional foods on offer, as well as vantage points for great views of the city. The surrounding mountains make it a beautifully picturesque location to relax and enjoy the sunset. If you happen to be visiting over the Christmas period you’ll have the added advantage of the village being decorated with festive lights! To many, Pablo Escobar is a notorious drug lord who brought terror to the streets of Medellin for years. Yet some of the residents still regard him as a hero, despite the number of deaths he caused. Earning billions of dollars from the cocaine trade, he invested in the poorest communities and built them houses to prevent them sleeping rough. 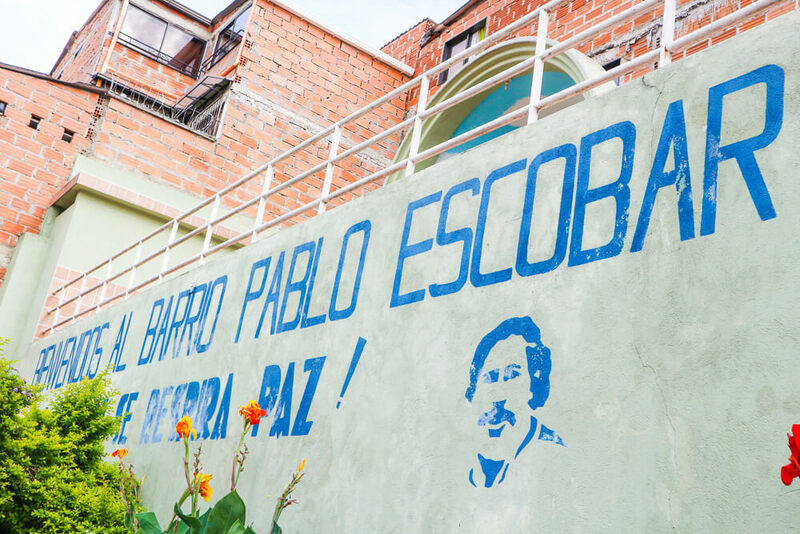 These tours give real insight into Escobar’s life, while visiting a number of notable sites. Depending on your choice of tour, you may visit his grave, where he died, the Monaco building, his infamous self-designed prison and the Pablo Escobar neighbourhood where locals will tell you how he changed their lives for the better. Our tour was led by an ex Police officer who spent years fighting against Escobar and his accomplices. Hearing first hand stories of the devastation he brought to the city is hard hitting, but is a unique experience you won’t forget. These tours are certainly one of the things to do in Medellin, and cost from 42,000 pesos. 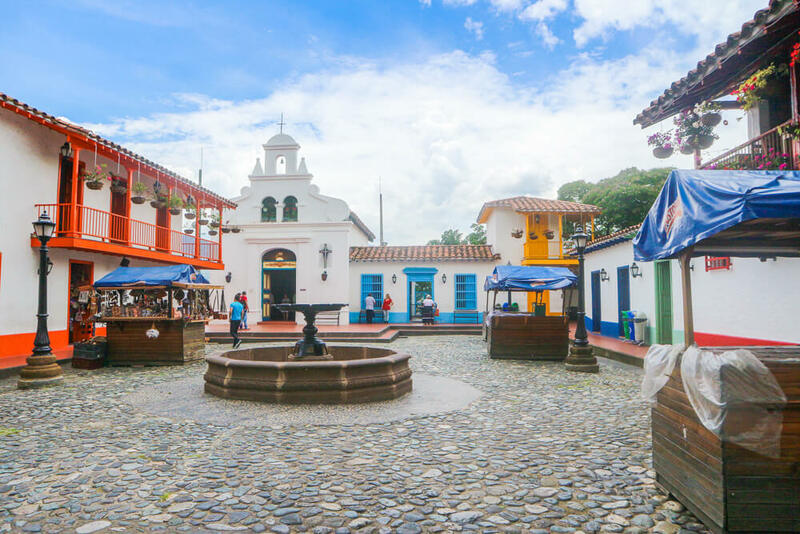 Guatapé simply should not be missed from your itinerary when in Medellin – be it a day trip or staying a night or two. You can easily pass hours wandering the vibrant, colourful streets and just enjoying the simplicity of this beautiful town. Make sure to also visit El Peñón de Guatapé – a large rock which can be climbed for incredible views of the surrounding area, including the scenic laguna de Guatapé. The picture perfect location feels like something straight out of a movie! The one way bus fare from Medellin to Guatapé is just 13,000 pesos. This price represents incredible value for what will surely be a highlight of your trip! Found in the centre of Medellin, this plaza is dedicated to one of South America’s most celebrated artists – Fernando Botero. With 23 large bronze sculptures in his exaggerated signature style dotted throughout the square, it’s an enjoyable place to stroll around or take a few moments to people watch. 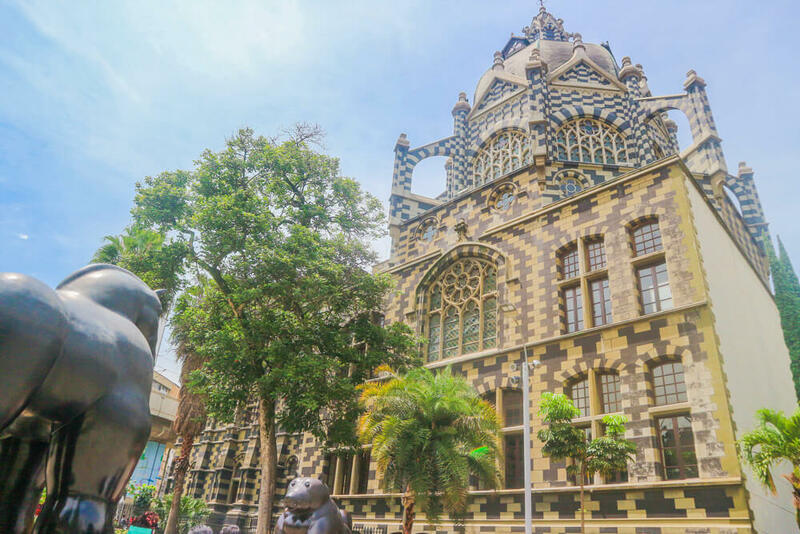 There are also a number of interesting buildings in the area that you should not miss – most notably the Gothic styled Palacio de la Cultura Rafael Uribe Uribe. Due to its central location it is easily accessible by Medellin’s efficient metro system. With spectacular views of the city, this isn’t your standard shopping mall. For locals the main attraction here may be the international brands on offer, but the location makes for amazing viewpoints. Offering panoramic views of the city, from here you get a unique perspective of how Medellin is surrounded by mountains. While it doesn’t justify being the first stop on your itinerary, the great views make it well worth the trip if you have time! 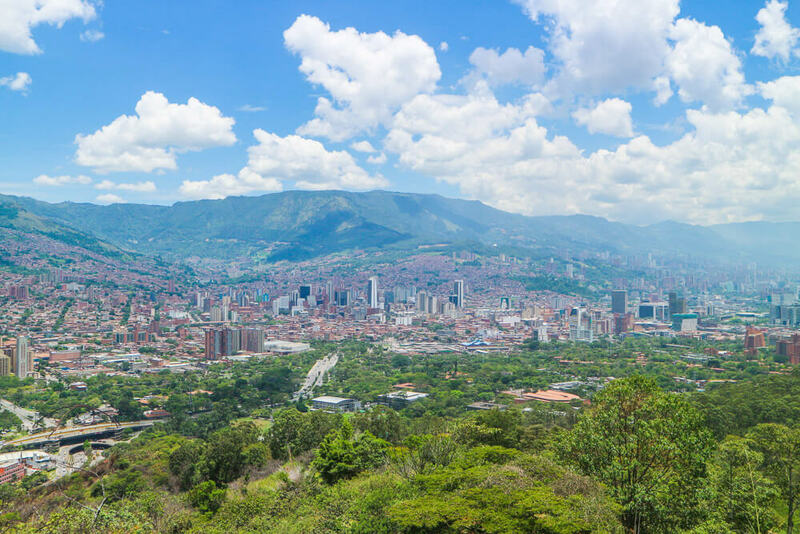 One of the lesser known points of interest in Medellin – El Volador hill is a public park which gives some of the best views in the city. Despite few tourists being found here, there is a police presence in the interest of public safety. They advised us to put our cameras away – so stay vigilant when visiting. The hills’ highest point gives wonderful views of the cityscape and is a great viewpoint to appreciate how the houses merge into the mountains around them. 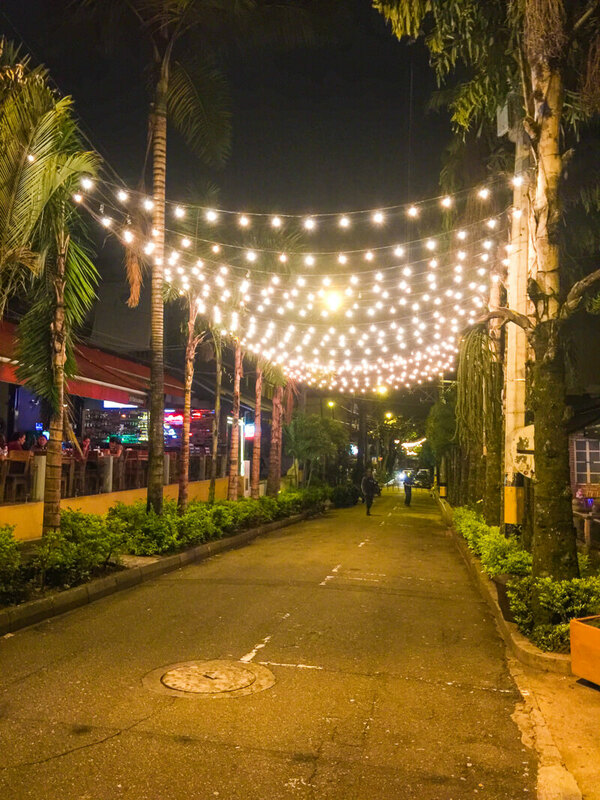 Found in the upscale El Poblado neighbourhood, Parque Lleras is a hub of activity come nightfall. With a number of bars and restaurants around the area you’ll have your pick of where to enjoy some drinks. Alternatively, join the locals who pass their evenings drinking beers in the park. Local shops nearby sell the same drinks for a fraction of the price you’ll pay at a bar – making it a much more budget friendly option! If you’re looking for nightlife in Medellin, you’ll find it here. An impressive feature of the city’s renowned public transport system is the use of cable cars. 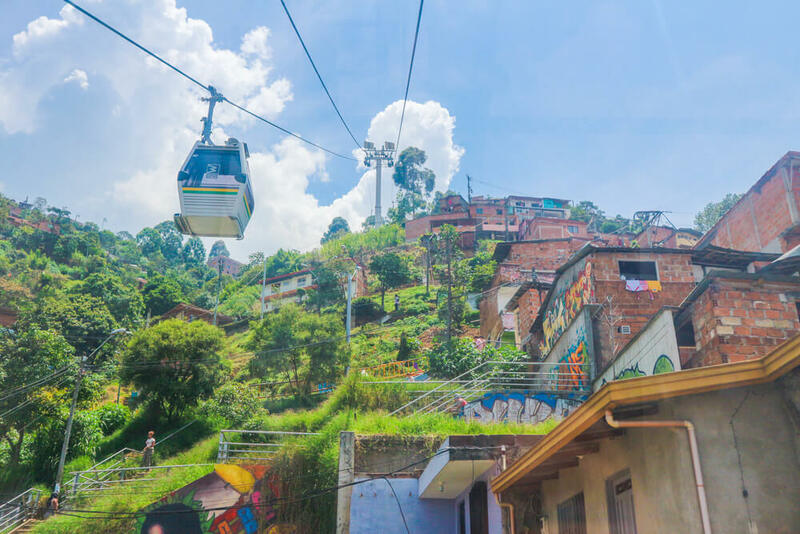 Due to the mountainous landscape, the Medellin metrocable represents the most efficient form of transport for some journeys. The cable cars are of particular importance to the poorest communities and offer affordable but fast transportation around the city. Better still, you’ll be treated to incredible views as you soar above the city. You won’t even need to get off at any of the stops if you don’t want to. Simply sit back and enjoy the ride! The botanic garden in Medellin is a serene and natural escape from the city life. Spend an afternoon having a picnic by the lake or stroll through the forest area in search of the elusive resident sloth. You’re sure to see an iguana or two as well! These gardens are also the perfect place for a run or bike ride – you’ll often see the locals taking advantage of this. With 14 hectares to explore, it’s a peaceful place for you to enjoy – even if just for an hour or two! 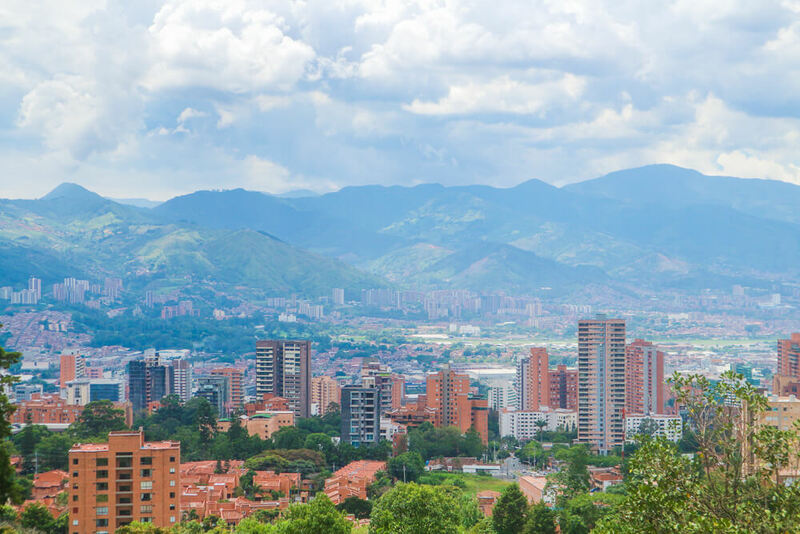 With so many points of interest in Medellin, it’s a travel destination that should not be rushed through within a day or two. 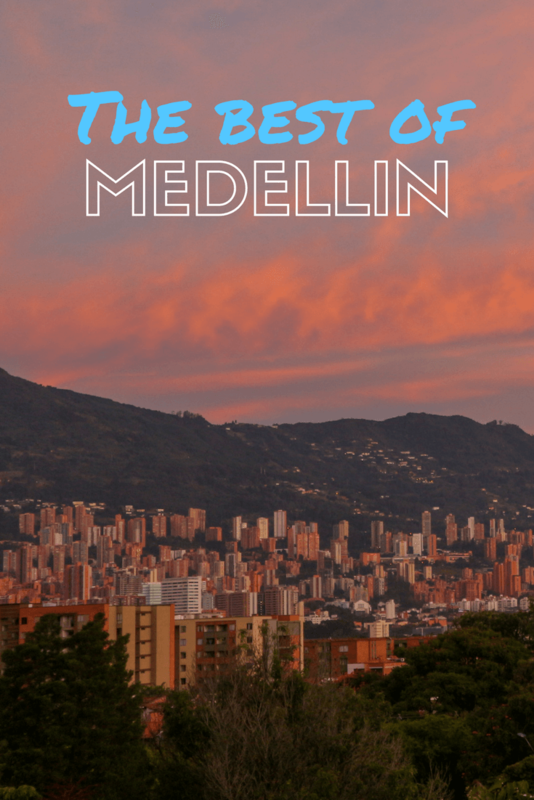 If you take your time, you’ll get to see the best that Medellin has to offer! 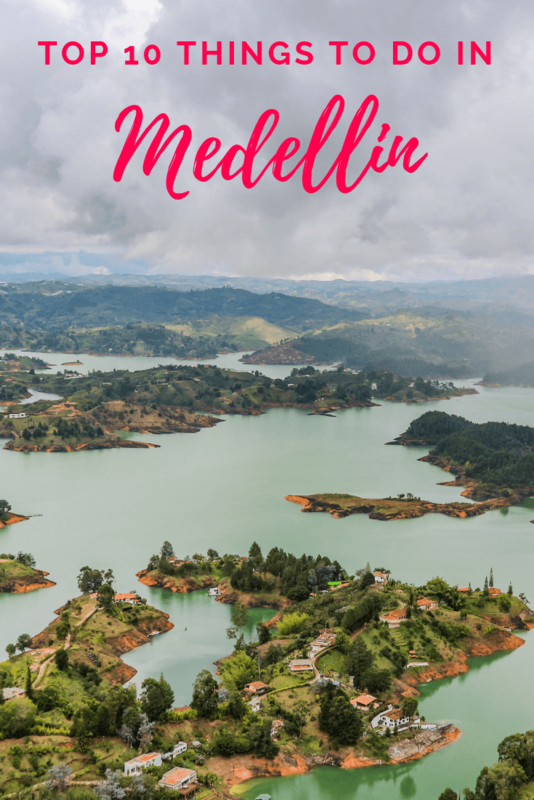 If you’re looking for more places to visit near Medellin, check out this guide to weekend and day trips in the area. 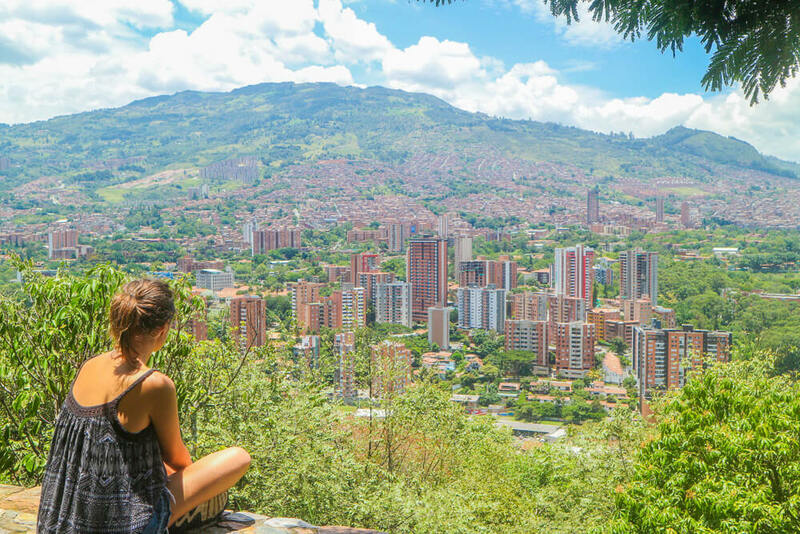 Like these 10 points of interest in Medellin? Pin them! Wow, I would love to take the Pablo Escobar Tour, sounds like so much fun, especially because its conducted by an ex-police officer who fought him for years! That’s so cool. I also love how colourful Guatapé looks. I don’t really have a lot of knowledge about Columbia but this post has been really helpful in understanding a part of it. Thanks for sharing. 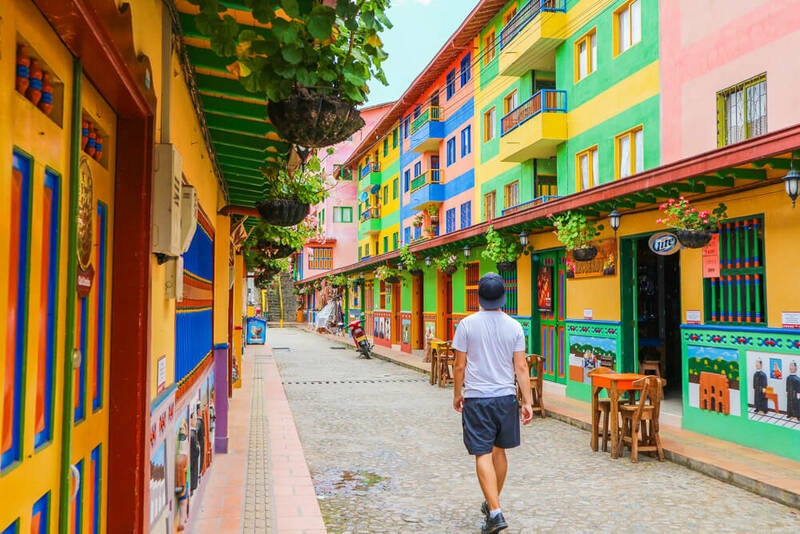 How colourful is Guatape! I’d love to visit Medellin, yes, I’m a huge fan of the show Narcos, but I can only imagine the history there from the days of Escobar. Still, I’m glad it’s safe enough for travellers to visit! Yeah its a really interesting city to visit with a lot to offer! I only spent 5 days in Medellin but I managed to see a fair chunk of the city. I found the Pablo Escobar tour so sobering. I feel like a lot of people go to Colombia without fully understanding the history, and only seeing a glorified version from watching Narcos. They don’t realise how horrific and scarring that period of time was for the paisas. I also loved Comuna 13, it was one of my favourite daytrips! Medellin wasn’t my favourite city, as many others claim, but I did really enjoy it. Columbia has long been on my list. Bookmarking this for when I finally go. Thanks for this!! Thank you! Have a great trip when you go! Its a good excuse to go back! Hopefully you’ll get too soon! This just bought a smile to my face, reminding me of my time in Colombia, I did all of these on your list but I noticed you missed something out here …Santa Fe rum in a carton 😛 – Great post for anybody looking to travel to Medellin. Thank you! Yeah we did miss that out haha! Its really worth the trip!